Close to the Knives: A Memoir of Disintegration – loudlatinlaughing – Euge! Euge! 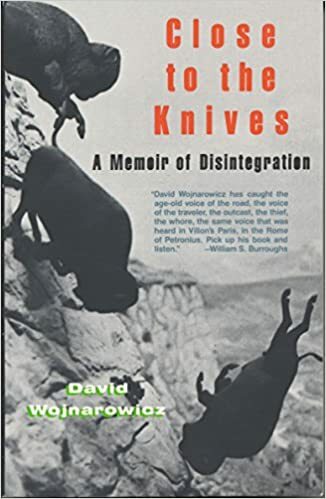 Stunning, poetic, political book by writer/visual artist/AIDS activist/filmmaker/painter/musician David Wojnarowicz (pronounced “voy-nah-ROW-vitch”) published a year before his own AIDS-related death at age 37 in 1992. It’s a memoir of 80s NYC hustling that is gripped by the constant deaths of friends from AIDS. He’s rightfully angry about existing in a world where his very being is illegal. The words spill breathless onto the page with an urgency born of watching those around him die. Pure prose poetry from beginning to end, wrapped in a rage blanket, spitting hatred at Reagan and the ineptitude of American leaders.